there are (8) [holy smokes!] upcoming Sunfish races in the Midwest Region during the month of August. there are 4 different races happening on the weekend of August 23rd & 24th! busy times wrapping up the summer. this regatta is put together by the Douglas Lake Sunfish Fleet 700, and the event will be held on Douglas Lake in the northern part of Michigan’s lower peninsula (Google map). Beautiful, large inland lake. Good sized racing fleet. Lots of room for launching and recovery. this is fairly close to the race the previous day on Douglas Lake, so it’d be a great way to get 2 races in in the same general area. Lake Charlevoix (“3rd largest inland lake in Michigan!”) is beautiful – I spent several vacations up there with my best friend back in the ol’ high school days, although back then we were cruising around on jet-skis. the event is hosted by the Charlevoix Yacht Club, and racing will be held at the northwest end of the lake. you can find the notice of race here (.pdf file). the printed schedule I got shows this as the 11th (Monday), but these are usually held on Sundays… so let’s just call it the 10th of August. this is the same day as the Charlevoix Open above, but will be down in Ohio. this race will be held at Kiser Lake State Park in Ohio (map of state park here, .pdf file) and is hosted by the Kiser Lake Sailing Club. the lake is popular for sailing as motorboats are not allowed on the lake. the 1st regional championship for the Midwest Region will be held at Wolf Lake Yacht Club near Jackson, Michigan. the event also celebrates the 75th anniversary of the yacht club! the NOR can be found here (.pdf file). this event will be held at Lake Bluff Yacht Club. additional information can be found at their Facebook page and the NOR (.pdf file). located in Lake Bluff, Illinois along the shore of Lake Michigan north of Chicago. 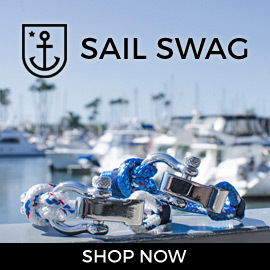 This provides an excellent place to enjoy sailing and learn in many varied sailing conditions. Racing 1:30pm to 4:00pm – no fees, no trophies, just fun! same venue and general info as the Fun Sunfish Regatta on August 10th, see above for more details. the Greater Detroit Sunfish Club (GDSC) is back up at Tawas Bay on Lake Huron, and is their Labor Day regatta (held a weekend early!). there are 6 upcoming Sunfish races in the Midwest Region during the month of August. this race will be held at Kiser Lake State Park in Ohio (map of state park here, .pdf file) and is hosted by the Kiser Lake Sailing Club. the lake is popular for sailing as motorboats are not allowed on the lake. 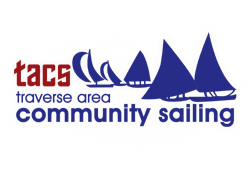 this is a regatta for both Sunfish and MC Scow sailboats. it will be the 8th annual regatta for the MC Scows, and the 12th annual regatta for the Sunfish. the event is being held at Portage Lake Yacht Club in Pinckney, Michigan. more information can be found here. this is the 2nd Midwest Regional, and is being held on Lake Michigan by Lake Bluff Yacht Club. this is the same day as the Just for Fun #3 above, and is the same racing venue as the Fun Sunfish Regatta on August 11th (see above for information). the Greater Detroit Sunfish Club (GDSC) (also check out their Yahoo Group, it’s sometimes a bit more up-to-date) hosts an annual camping trip with Sunfish racing to be held over Labor Day weekend. they are repeating things from last year, with the event being held at Tawas Bay, Michigan, with racing to be held on Tawas Bay which is part of Lake Huron. many from the group will be camping at the Tawas Point State Park, but the group will be launching their sailboats from the public ramp next to Timberlane Resorts, where some of the group is also staying. there are a bunch of upcoming Sunfish races in the Midwest Region during the month of August. the entire month of August is going to be busy for Sunfish racers, as several weekends have multiple events at different locations. 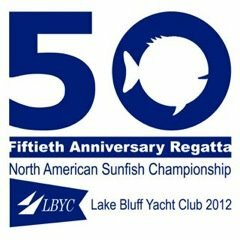 this is the 50th Sunfish North Americans, being held on Lake Michigan by Lake Bluff Yacht Club. additional information can be found at the Facebook event page. youth racing starts tomorrow, with the adult/open racing on Thursday through Saturday. 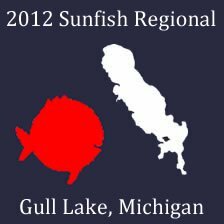 the 1st regional championship for the Midwest Region will be held at Gull Lake, near Richland, Michigan, and is being hosted by the Gull Lake Sunfish Fleet (GLSF) and the Gull Lake Yacht Club (GLYC). Friday night begins with registration, with racing to begin on Saturday morning and continue on Sunday. this is the same day as the Midwest Regional #1 above, but will be down in Ohio. this race will be held at Kiser Lake State Park in Ohio (map of state park here, .pdf file) and is hosted by the Kiser Lake Sailing Club. the lake is popular for sailing as motorboats are not allowed on the lake. 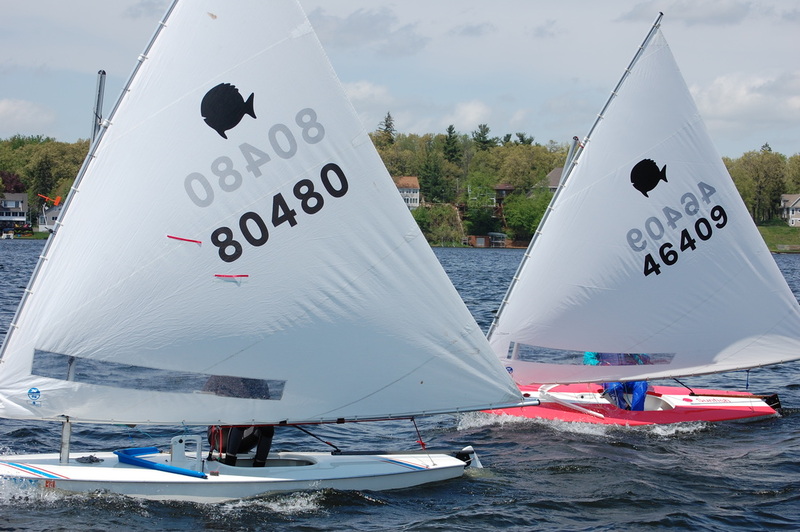 this is a regatta for both Sunfish and MC Scow sailboats. it will be the 7th annual regatta for the MC Scows, and the 11th annual regatta for the Sunfish. the event is being held at Portage Lake Yacht Club in Pinkney, Michigan. more information can be found here. 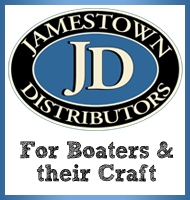 on the same day as the Scowfish Regatta in southeast Michigan, this regatta is put together by the Douglas Lake Sunfish Fleet 700, and the event will be held on Douglas Lake in the northern part of Michigan’s lower peninsula (Google map). this is fairly close to the race the previous day on Douglas Lake, so it’d be a great way to get 2 races in in the same general area. Lake Charlevoix (“3rd largest inland lake in Michigan!”) is beautiful – I spent several vacations up there with my best friend back in the ol’ high school days, although back then we were cruising around on jet-skis. the event is hosted by the Charlevoix Yacht Club, and racing will be held at the northwest end of the lake. this event will be held at Lake Bluff Yacht Club. additional information can be found at their Facebook page. this is the same venue as the 50th Sunfish North Americans as noted above. this is the same day as the Lake Bluff Regattas above, and is the same racing venue as the Fun Sunfish Regatta on August 12th (see above for information). there are (6) upcoming Sunfish races in the Midwest Region during the month of July. first up is a repeat from June’s schedule, as it falls right on the end of June and start of July. this is a weekend camping event with the Greater Detroit Sunfish Club (GDSC), who have a full summer schedule of racing in the greater metro Detroit area (see full schedule here). they will be camping at Lakeport State Park on Lake Huron, only a few miles north of Port Huron, and will hold several races on Saturday and Sunday. this is usually one of the GDSC’s most heavily attended events, with most families camping at the state park for the weekend. due to the late notice, if you would like to attend – your best bet is to probably join the GDSC Yahoo Group, and let them know, so they can get you visitor pass information for the state park. 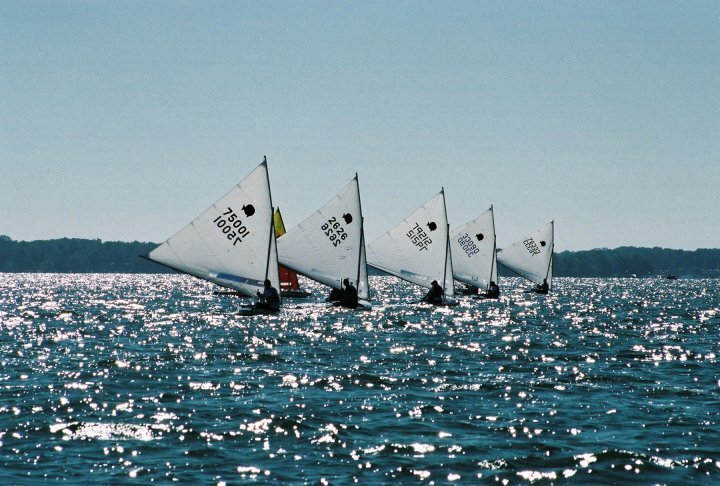 this is another 2-day regatta, hosted by the Pymatuning Sailing Club at the Pymatuning State Park in Linesville, Pennsylvania, to honor the late Sam Meyers. this is technically a race in the Mid-Atlantic Region event, but is close enough to the Midwest if you’re willing to travel that far. it is a multi-class event, with Sunfish, Laser, Force 5, Hobie 16 and Hobie 18 sailboats racing (if enough pre-register). rustic camping is available. this race will be held at Wawasee Yacht Club on Lake Wawasee in Syracuse, Indiana (Google map), home to previous Midwest Regional Championship races. this race will be held on the Maumee River, and will be hosted by the Perrysburg Boat Club. 2:00pm Start. Open to all, no fees. There are trophies, relaxed atmosphere, short courses, numerous starts, FUN!